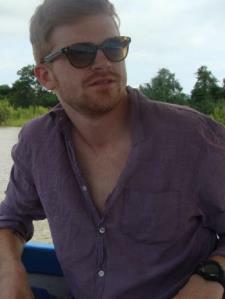 My name is William O.
I graduated with my Bachelor of Arts in English in 2010 and have done a number things since then. My first relative position was as a teacher. I taught high school English and Government for 9th, 10th, and 12th grade for one full school year. After this, while I was enrolled in the Masters program at University of Texas at Brownsville, I was the assistant director of the writing lab at UTB. I was acting as supervisor to the tutors who worked in the writing lab. I also was the editor for a professor in the Education Department and worked closely with her in submitting her articles for publication in scholarly journals. Most recently, I helped a high school graduate with her application for St. Edward's and a few scholarships (she was accepted and received the scholarships that she applied for). I find it a pleasure and an honor helping students become excellent writers and readers. I look forward to working with you or your child and equipping them for success! Rate details: My rate of $30 applies to up to two students per hour, 3-5 students will have the rate of $50 per hour.